On the heels of Microsoft's bundle, Sony has announced its own bundle for multi-platform Resident Evil 5, complete with special RE5 design console. Microsoft today announced two new Xbox 360 bundles for Japan: Star Ocean 4 and Resident Evil 5. 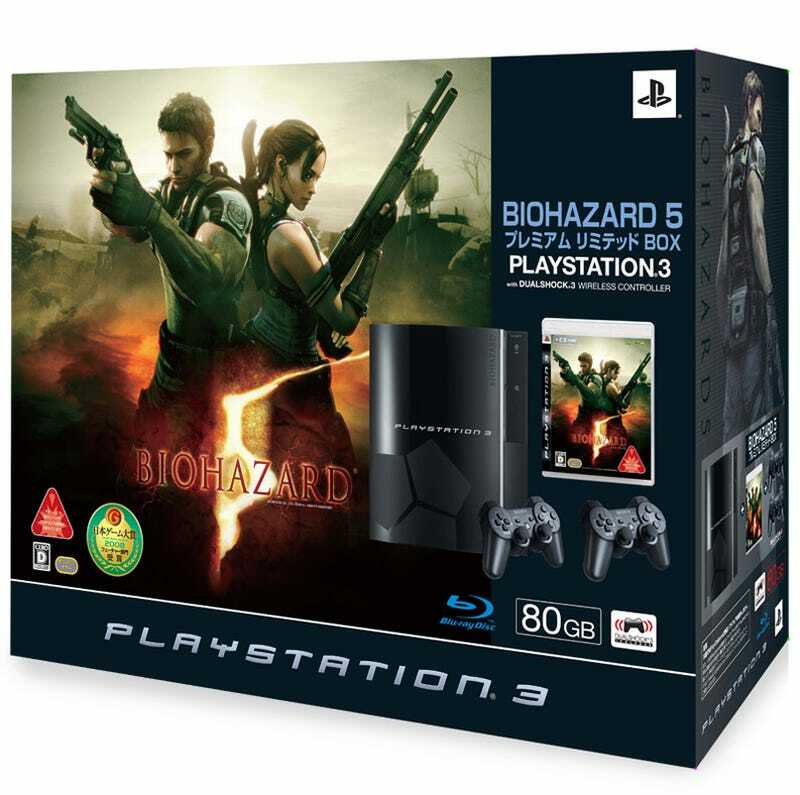 The "Premium Limited" pack comes with a Resident Evil 5 logo 80GB PS3, two DualShock 2 controllers and a copy of the game. Priced at ¥48.980 (US$525), the bundle goes on sale March 5 in Japan.